Deborah Black was based for the last several years in Europe teaching physical theater and dance, and collaborating with two interdisciplinary companies: the Tuning People (Belgium) and YMIST Company (Norway). While previously living in New York City for nearly 15 years and working with Deborah Hay, Siobhán K Cronin, and the SITI Company, she began her current research of collective and individual daily practices, conflict management, and ecology. She grew up in the Appalachian Mountains in Pennsylvania. ​Will Bond is a founding member of SITI Company; his performance tours include The Medium, Bob (Drama Desk Nomination), bobrauschenbergamerica, Death and the Ploughman, Radio MacBeth, Antigone, and Persian. He has performed Tadashi Suzuki’s Dionysus, and Tale of Lear, Robert Wilson’s Persephone, and A Rite – after Stravinsky with Bill T Jones/Arnie Zane Dance. Original works include: I’ll Crane For You, a solo dance commissioned from Deborah Hay, and The Perfect Human V.1, Option Delete, and an EMPAC DANCE MOViEs commission Lost & Found all with Marianne M. Kim. 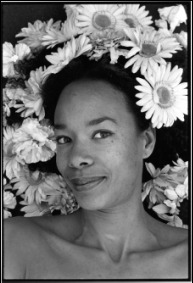 Debra Disbrow creates, performs and directs ensemble theater and solo works that cross disciplines of dance, theater, and music. 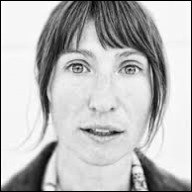 Based in Brooklyn, she has taught for The Center for Arts Education, Community Works, Wilma Theater, Mumpuppet Theater, University of Colorado, Naropa University, Earthdance, Spoke the Hub, and others. 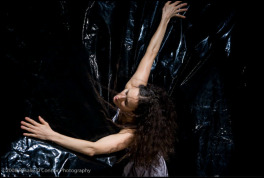 Founding member of Workshop for Potential Movement (dance theater). MFA - Theater - Naropa University. Conrado Falbo is a performance artist, voice practitioner, Contact Improvisation dancer and musician based in Recife, Brazil. 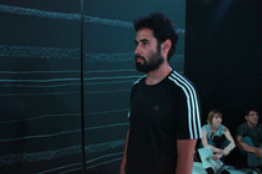 He is a core member of Coletivo Lugar Comum, an artist collective which investigates sustainable creative practices involving interdisciplinary performance. He’s also an independent researcher and holds a PhD in literary theory. 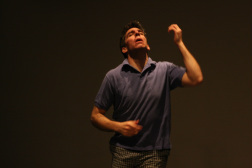 Conrado’s artistic work is focused on the possibilities of voice in performance, using technology, improvisation, and dance both as creative and interactive strategies. 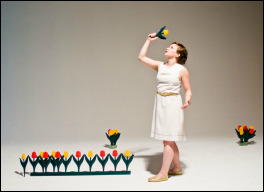 Ellen Fisher’s movement performance work incorporates visual and sound elements to create a landscape that challenges the audience through perceptual scale change and kinetic empathy. Ellen’s performance work and teaching is informed by ethnographic studies in South Asian culture. She is a recipient of a 2013 Fulbright Fellowship continuing her research and documenting Sri Lankan dance rituals. Ellen began performing with Meredith Monk/The House in the '70s, and continues today. Guillaumarc Froidevaux graduated from movement theater school Dimitri and has worked for various independent companies in Switzerland, Belgium, Austria, Poland, and Slovakia. Beginning in 2007, he worked mainly in tandem with Z. Kakalikova as artistic director and performer in Compagnie T-d'U. 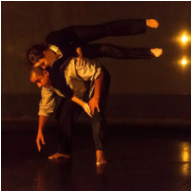 Since 2011 he has been working as a performer in Studio Matejka and leads workshops that include body awareness, body rhythm and partner work. Jonathan Gonzalez is an artist and native New Yorker based between the United States and Berlin. 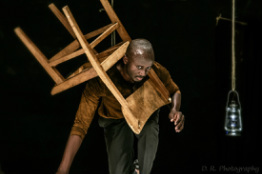 He has been a Bessie Schonberg and POSSE scholar, Diebold Award recipient for Distinction in Performance & Choreography, New York Live Arts Fresh Tracks Artist, Brooklyn Arts Exchange/Dancing While Black Fellow, and New Voice in Live Performance/Center for Performance Research. His work engages the nature of abundance and dimensionality in interdisciplinary performance as they relate to his history of training in multiple disciplines of artistic practice, and continued interest in collaborative processes. He has had the pleasure to work with artists such as Jomama Jones, Ligia Lewis, Cynthia Oliver, and Alex Baczyinski-Jenkins. Jack Gray (Ngati Porou, Ngapuhi, Te Rarawa, Ngati Kahungunu) is an acclaimed dancer, choreographer, and scholar. Born in Auckland, New Zealand, Gray first connected to his cultural roots through traditional Māori dance, Kapa Haka, and later discovered contemporary dance. 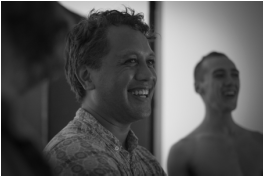 In 2000, he founded the Atamira Dance Company, an all Māori contemporary dance theatre, which has since become one of the nation’s premiere dance companies. Most recently, Atamira premiered Mitimiti, a full-length performance work for which Gray conducted five years of research. It featured First Nation dancers from New Zealand, Australia, Guåhan (Guam), and the Kiowa People (Oklahoma). His previous performance highlights include: Ten Days on the Island (Australia), Festival of Pacific Arts (Solomon Islands), Asia-Pacific Dance Festival (Hawai‘i), and the San Francisco International Arts Festival. Daniel Han is a performer and musician, whose eclectic practice explores the spaces between movement, voice, and sound, searching for a human language within theatre. He has collaborated with Studio Matejka, The Grotowski Institute, and Song of the Goat Theatre and is Project Leader of Jubilo, an artistic expedition against social exile. He is a 2011 recipient of the Fulbright Grant. 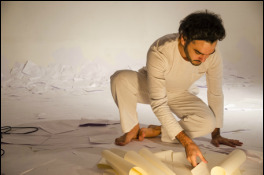 Federico Hewson is a teacher, performer, curator and world citizen. He's lived in Amsterdam, London, Berlin, Chicago, Los Angeles and is originally from San Francisco. A current grad student at NYU Steinhardt in a new Art Education/Activism program, he founded two non-profits and is interested in the nexus of art, performance and community engagement. Sean Hudson is a visual artist based in Colorado. An exploration of communication and connection currently embodies his artistic practice. More specifically, the energetic & physical exchange that happens in interpersonal relationships. He is passionate about social harmony and creates imagery that expresses this ideal. Under the name of LEIMAY, the artistic duo of Ximena Garnica and Shige Moriya create individual and collaborative works ranging from sculptural, video, and light installations to photography, training projects, and contemporary performances. LEIMAY is based in Brooklyn, New York at their home, CAVE, where they develop and and share their work and the work of other artists. LEIMAY work has been presented in intimate settings and in houses of over 1500 spectators, as well as in visual art galleries, museums, and public places. LEIMAY creates work that confronts the veils that society has taken as facts, digging into humanity’s ambivalence through the creation of contemporary ceremonies and artifacts that aim to uncover the sources of life within us. Deborah Middleton is a co-director of the Centre for Psychophysical Performance Research at the University of Huddersfield. She has a particular interest in relationships between mindfulness practices and psychophysical performance training. 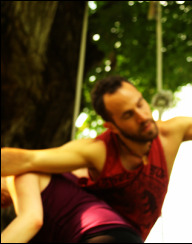 Deb's research influences include Nicolás Núñez of the Taller de Investigacion Teatral (Mexico), the Interactive Teaching Method of the Alexander Technque (Bristol, UK), and her trainings in shamatha-vipashyana meditation and Kripalu Yoga. 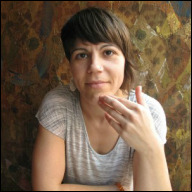 Deb also writes and performs creative short fiction under a pen-name, Deborah Templeton, and as one half of the duo Bespoken. 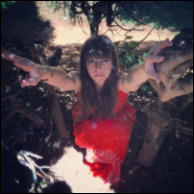 She teaches yoga-based and contemplative approaches to creative process. Eilon Morris is associate director of Duende and a member of OBRA theatre company and music groups Stems and Kelter. He is an associate artist of Whitestone Arts and research associate of the Centre for Psychophysical Performance Research. 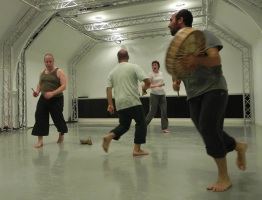 As a theatre practitioner and percussionist Eilon has also worked in recent years with companies including Dirty Laundry, Encounter Productions, Wild Goose, Unfinished Business, IOU and Chol, and recorded for BBC radio drama. 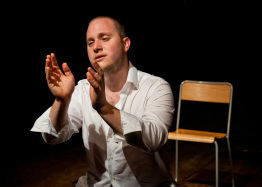 In 2013 Eilon completed a PhD investigating the use of rhythm in psychophysical actor training at the University of Huddersfield and is recently released on a book on rhythm in acting and performance for Methuen Drama, published in 2017. 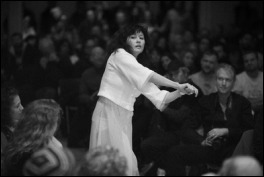 Mina Nishimura, originally from Tokyo, was introduced to butoh and improvisational dance through Kota Yamazaki. 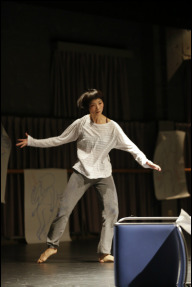 She has been dancing and making works in New York since 2003. 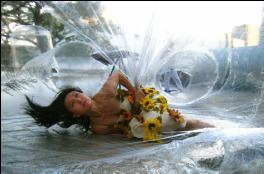 She has also been a guest faculty member at Bennington College and Ferris University (Japan), and is currently a Movement Research Artist-In-Residence in New York City. Daniel Plá is a lecturer at Performing Arts department in the Universidade Federal de Santa Maria – Brazil, where he is responsible for the subjects Classical Greek Theater (tragedy and comedy), acting techniques and directing. During his PhD he developed a research related to the intertwining of performance arts, meditation and mindfulness. As an actor and director he has worked in plays of different styles focusing in methodologies linked to the physical actions and different approaches of theatre pedagogy embracing psychophysical training and mindfulness cultivation. 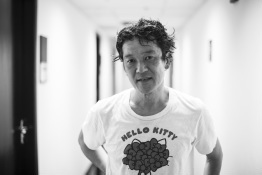 Kohji Setoh is a Japanese composer, a member of the artist collective flow, and a director of the artist collective ROOT CULTURE. Projects and pieces by flow have been introduced in many museums such as MoMA (NYC), Batofar (Paris), Art Sonje (Seoul), YCAM (Yamaguchi, Japan), and ICC (Tokyo). 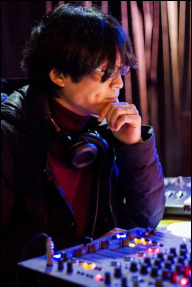 As a composer, his pieces have been published by Soup-Disk (Tokyo) and Sonore (France), as well as used for a television program of NHK, the Japanese national broadcasting company. He has also worked with choreographer Yoshiko Chuma on "Hold the Clock," which was produced by ROOT CULTURE. Kohji's works are highly renowned in Japan, and he holds a position as an associate professor for College of Music at Ferris University, Yokohama. 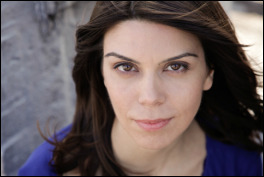 Ana Sofrenovic is an award-winning film and stage actress, vocalist, director and educator based in Belgrade, Serbia. She has played leading roles in some of the most significant film and theater productions in the former Yugoslavia and has appeared in several TV series for the BBC. Her experience in concert performance ranges from rock and jazz to music-theater and contemporary music. 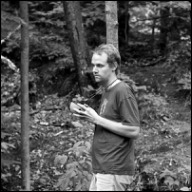 Ben Spatz is Lecturer in Drama, Theatre, and Performance at the University of Huddersfield, and a member of the Centre for Psychophysical Performance Research there. 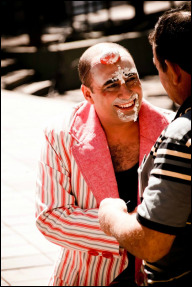 He is also a member of the International Federation for Theatre Research Working Group on Performance as Research, and an associate of the European Theatre Research Network. As performer and creator, his work has been seen at Abrons Arts Center, Lincoln Center Rubenstein Atrium, Centre for Performance Research, New York Live Arts, United Solo Festival, Cave Soak Festival, Performance Mix Festival, and elsewhere in New York City and beyond. Ben received his PhD from the Graduate Center of the City University of New York. He is a former resident artist at Movement Research and Leimay/Cave, and his writing has been published in both academic and artistic journals. Ben’s book on embodied knowledge will be published by Routledge in 2015. 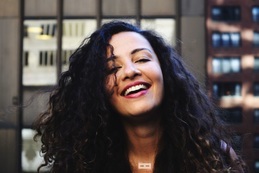 Larissa Velez-Jackson is a NYC-based choreographer/multi-platform artist. 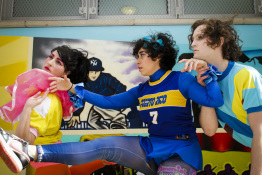 She was a Movement Research AIR '12-'13, a boo-koo resident ’14 at Gibney Dance Center, and an El Museo del Barrio AIR ‘14. Her last evening-length work “Star Crap Method” premiered at the Chocolate Factory Theater in 2014. 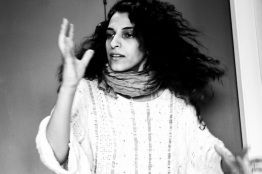 She will premiere an evening-length work of her song and dance collaboration, YACKEZ at New York Live Arts in 2016. Tray Wilson is an actor trainer, director and performer based in the UK. Her training is informed by the European Laboratory tradition and martial arts practices. She has trained extensively with Phillip Zarrilli, Nicolás Núñez, Dr Deborah Middleton, and John Britton. Tray’s martial arts experience covers a range of forms including t’ai chi ch’uan, capoeira, kalarippayattu and kung fu. Tray received her MA in Ensemble: Physical Theatre at the University of Huddersfield and she is currently Senior Lecturer in Performance at University Campus Oldham. Sarah Young is curious about the body's capacity for learning and creativity. 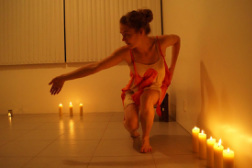 As a movement artist, Sarah has worked most closely with choreographers Hilary Easton, Steven Koplowitz, Jill Sigman, David Dorfman, and the Treehouse Shakers, and has researched Contact Improvisation with Nancy Stark Smith and Chris Aiken. She is a Wisconsin native, University of Illinois, Urbana-Champaign alum, Returned Peace Corps Volunteer, Feldenkrais Practitioner, and former Executive Director at Earthdance.